Leon Corlew Park features both a new playground and a 4,000 sq. ft. splash park that has colorful, transparent features, creating an array of colors on the ground when sunlight passes through. 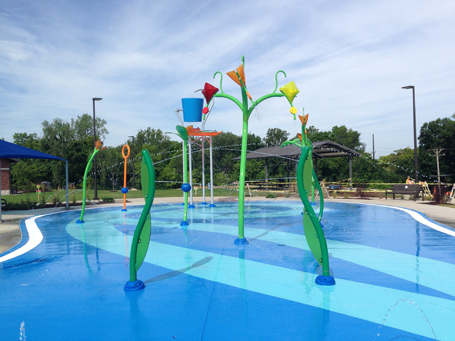 The new splash park features various activities for children of all ages from a dumping bucket to a lighter play area for younger children. 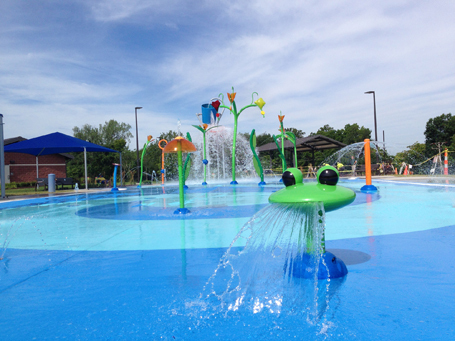 Children can also splash among spraying flowers, leaves and vines on the splash park, which has a plant theme. On the playground, kids can bounce on a fire truck and a police car, which were included as a whimsical nod to the public safety facility that will be built nearby. Fitness equipment will also be installed in the future. The park also includes walking trails, shade structures, native plantings, a butterfly garden and restrooms. 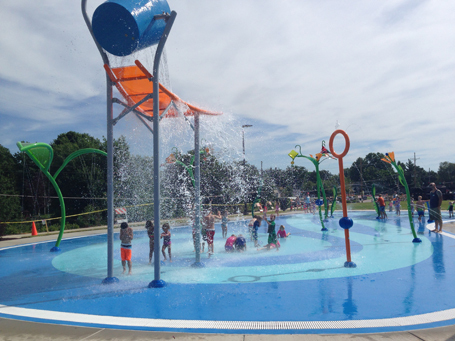 Splash parks are designed to cultivate cognitive skills like planning, imaginative thinking, focus, problem-solving and self-control as children interact with moving water. These neurological building blocks shape and carry children though life, in the workplace and in their families. The project was funded through “A Better Place to play,” a fundraising campaign that is working to expand recreation opportunities in the area.